A common text is read and discussed in many classes and serves as the basis for many campus activities. Jende Jonga, a Cameroonian immigrant living in Harlem, has come to the United States to provide a better life for himself, his wife, Neni, and their six-year-old son. Working as a chauffeur for Clark Edwards, a senior executive at Lehman Brothers, he displays the punctuality, discretion, and loyalty that Edwards demands. Neni’s temporary work at the Edwardses’ summer home in the Hamptons means a brighter future-- until Jende and Neni notice cracks in their employers’ façades. As the financial world threatens to collapse, the Jongas become desperate. And as their marriage threatens to fall apart, Jende and Neni are forced to make an impossible choice. Just as Larry Newton, one of the most notorious inmates at Indiana Federal Prison, was trying to break out of jail, Dr. Laura Bates was trying to break in. 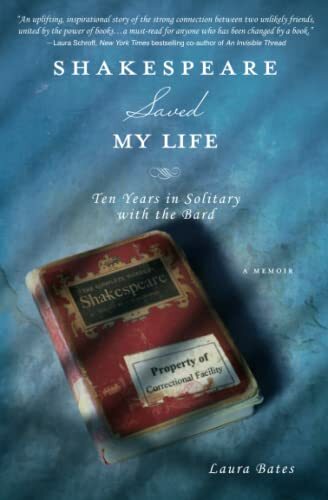 Now, a decade later, her Shakespeare in Shackles program has been lauded by academics and prison communities alike. In this profound illustration of the enduring lessons of Shakespeare through the ten-year relationship of Bates and Newton, an amazing testament to the power of literature emerges. But it’s not just the prisoners who are transformed. It is a starkly engaging tale, one that will be embraced by anyone who has ever been changed by a book. LibGuide Created for "Shakespeare Saved My Life"
The inspiring true story of a transgender girl, her identical twin brother, and an ordinary American family's extraordinary journey to understand, nurture, and celebrate the uniqueness in us all, from the Pulitzer Prize-winning science reporter for The Washington Post When Wayne and Kelly Maines adopted identical twin boys, they thought their lives were complete. But it wasn't long before they noticed a marked difference between Jonas and his brother, Wyatt. Jonas preferred sports and trucks and many of the things little boys were "supposed" to like; but Wyatt liked princess dolls and dress-up and playing Little Mermaid. By the time the twins were toddlers, confusion over Wyatt's insistence that he was female began to tear the family apart. In the years that followed, the Maineses came to question their long-held views on gender and identity, to accept and embrace Wyatt's transition to Nicole, and to undergo an emotionally wrenching transformation of their own that would change all their lives forever. LibGuide Created for "Becoming Nicole"
MARCH is a vivid first-hand account of John Lewis' lifelong struggle for civil and human rights (including his key roles in the historic 1963 March on Washington and the 1965 Selma-Montgomery March), meditating in the modern age on the distance traveled since the days of Jim Crow and segregation. In MARCH, a true American icon teams up with one of America's most acclaimed graphic novelists. Together, they bring to life one of our nation's most historic moments, a period both shameful and inspiring, and a movement whose echoes will be heard for generations. LibGuide created for "March: Book One"
It's the year 2044, and the real world is an ugly place. Like most of humanity, Wade Watts escapes his grim surroundings by spending his waking hours jacked into the OASIS, a sprawling virtual utopia that lets you be anything you want to be, a place where you can live and play and fall in love on any of ten thousand planets. And like most of humanity, Wade dreams of being the one to discover the ultimate lottery ticket that lies concealed within this virtual world.nbsp;For somewhere inside this giant networked playground, OASIS creator James Halliday has hidden a series of fiendish puzzles that will yield massive fortune--and remarkable power--to whoever can unlock them. LibGuide created for "Ready Player One"
In this adaptation of his best-selling book,The Heart and the Fist, Eric speaks directly to teen readers, interweaving memoir and intimate second-person narratives that ask the reader to put themselves in the shoes of himself and others. Readers will share in Eric’s evolution from average kid to globe-traveling humanitarian to warrior, training and serving with the most elite military outfit in the world: the Navy SEALs. Along the way, they’ll be asked to consider the power of choices, of making the decision each and every day to act with courage and compassion so that they grow to be tomorrow’s heroes. Sure to inspire and motivate. LibGuide created for "The Warrior's Heart"
An astonishing story that puts a human face on the ongoing debate about immigration reform in the United States, now updated with a new Epilogue and Afterword, photos of Enrique and his family, an author interview, and more--the definitive edition of a classic of contemporary America Based on the Los Angeles Times newspaper series that won two Pulitzer Prizes, one for feature writing and another for feature photography, this page-turner about the power of family is a popular text in classrooms and a touchstone for communities across the country to engage in meaningful discussions about this essential American subject. Enrique's Journey recounts the unforgettable quest of a Honduran boy looking for his mother, eleven years after she is forced to leave her starving family to find work in the United States. Braving unimaginable peril, often clinging to the sides and tops of freight trains, Enrique travels through hostile worlds full of thugs, bandits, and corrupt cops. But he pushes forward, relying on his wit, courage, hope, and the kindness of strangers. As Isabel Allende writes: "This is a twenty-first-century Odyssey. If you are going to read only one nonfiction book this year, it has to be this one." Look for special features inside. LibGuide created for "Enrique's Journey"